The Dasjati Jatakas are an epic cycle of the last Ten Lives of the Buddha, told and retold all over the Buddhist world for over two thousand years. Somtow Sucharitkul’s opera The Silent Prince was premiered in Houston in 2010 to the most stunning reviews ever accorded a work of music theatre by a Thai composer, and the subsequent production created by Opera Siam in 2012 in honour of HM The King of Thailand was the first opera production in Thailand to twice as many ticket applications as available seats. Building on the spectacular success of his ballet-opera Suriyothai, Somtow restructured his Mahajanaka Symphony, inspired by another of the Dasjati Jatakas, as a ballet-opera and presented it on the birthday of HRH The Crown Prince of Thailand. Based on the success of the first two Dasjati Jatakas adapted to music theatre, Somtow has announced that, in honour of the 88th Birthday of HM The King and in tribute to one of the most celebrated royal reigns in history, he will embark on the task of creating music dramas based on all ten of the Dasjati Jatakas. The task will take five more years to complete and when done, it will entail performance over a five-day festival period. The huge number of characters, the use of different ensembles of Thai and Westerm instruments for each work in the cycle, and the sheer amount of music required to tell the story of ten epic lives will make Somtow’s Das•jati the most ambitious work in the entire history of music and theatre, and the largest integrated work of classical music of all time. In 2015, during the birthday celebrations for HRH Princess Sirindhorn, Opera Siam will unveil Bhuridatta - Prince of Dragons, and during the King’s 88th birthday festivities two more episodes will be unveiled. 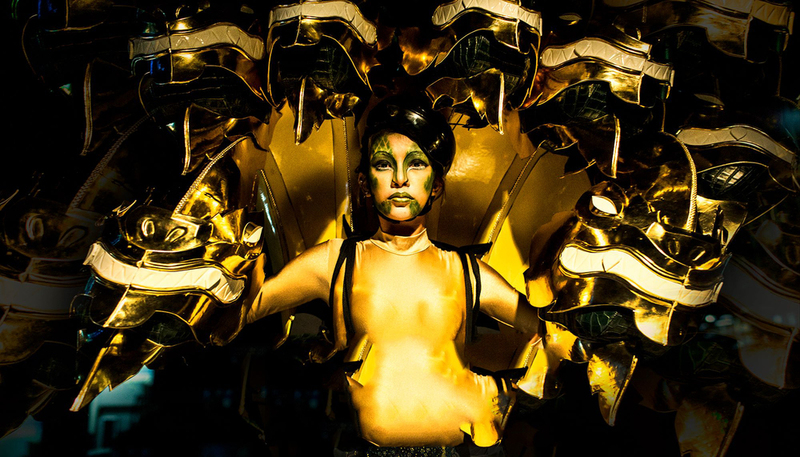 The creation of this work is designed to put Thailand permanently on the world cultural map, with festival revivals of the entire cycle to become a fixture of high-end tourism, and Asian equivalent to Germany’s Ring Cycle at the Bayreuth Festival to which audiences come from all over the world and which has a ten-year waiting list. Educating the world about Buddhism, providing a showcase for the greatest Thai designers, artists and musicians, cooperating with world-class opera stars from all over the globe, and providing a permanent tourist magnet for visitors to spend money in this Thailand, and putting the country squarely in the cultural center of ASEAN are only the beginning of the benefits that will arise when the artists, corporations, and government bodies cooperate to bring this bold vision to life.